Most of one of my big beds in the back has been prepped for fall except for the 2 Brandywine plants still producing beautifully at the end. This bed was mostly a Roma factory until late July. Shortly after this picture, the last remnants of the tomato roots were removed and the whole bed was refreshed with layer of leaf compost and a couple of wheel barrow loads of composted dairy cow manure. 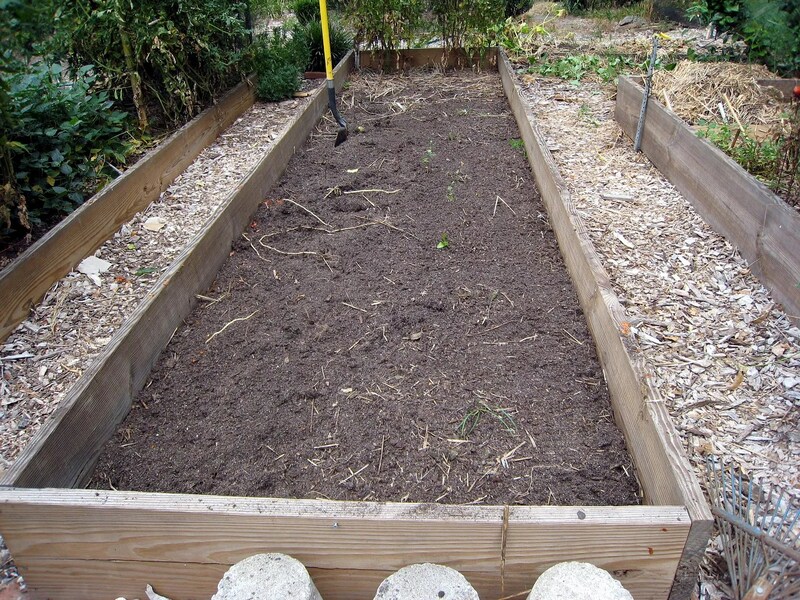 If I follow the SFG planting density suggestion I would plant 9 plants per square foot, which would (potentially) provide 576 plants in this one bed. 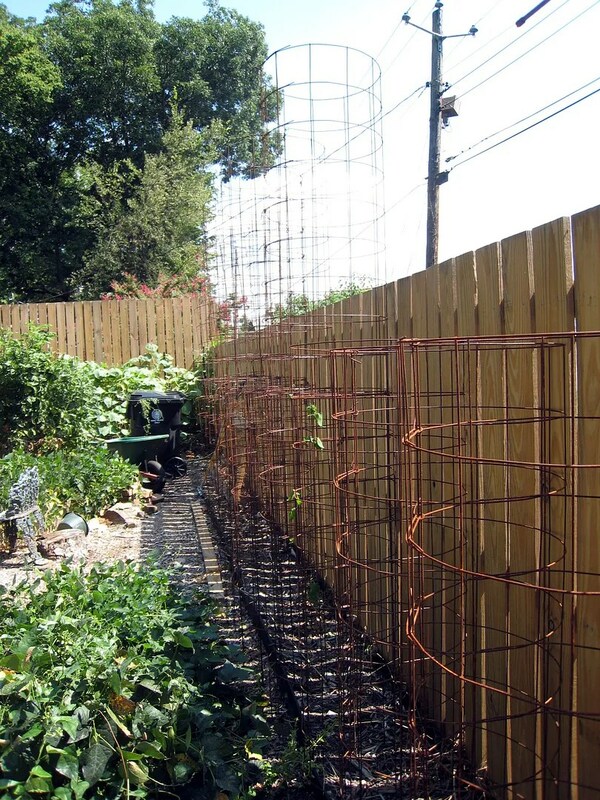 I also discovered that large stacks of pleasantly rusted tomato cages are almost invisible against the brown fence in the back. You aren’t really going to plant 576 spinach plants, are you?? Now you want me to waste 59 cents worth of seed? You must think I’m made of money….. Geez….